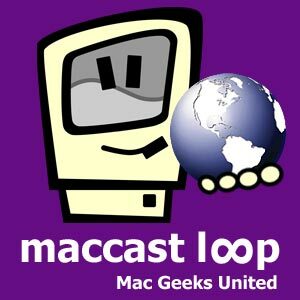 In this episode we talk about recent issues with using TimeMachine, AirDisks, and Time Capsule. Specifically, we discuss issues with TimeMachine disks filling up and what steps you can take to troubleshoot this common problem. We go over how TimeMachine fits into an overall methodology for performing backups and look at other tools that help round out your entire backup strategy. In this show we also take a look at using your Mac for business, discuss cool Mac business apps, and talk about using your Mac for banking and preparing your taxes. We are back after a brief time off for the holidays and Victor even fights back a nasty cold to make the return. In this episode we talk about how to troubleshoot wi-fi issues, what we think about rumors of iTunes adding movie rentals and what it may mean for the future of Apple TV, and get into the USB2 vs Firewire debate. In this episode we talk with special guest Ken Ray, Mac OS Ken and Technocracy Radio, about the current competition facing iTunes. Have services like Hulu.com and Amazon MP3 begun to take the shine off iTunes? We discuss the current criticisms security experts have made against Apple’s decision to change their approach to security and firewalling in Leopard. Finally we talk about which features in Leopard we find annoying as well as which ones we have uncovered as hidden gems in the new OS.